DALLAS, TX -- Now in its 44th year of operation, the North American Hockey League (NAHL) is currently in the middle of a Golden Era that is showing no signs of slowing down. When it comes to players committing to play NCAA hockey while playing junior hockey, no one in North America and the United States does it better than the NAHL. The impact the league, its member teams, and players are currently making is being reverberated from coast-to-coast. Last year, the NAHL placed 331 players into NCAA colleges, a new record for the league. More than 70 percent of those 331 players advanced to the NCAA Division 1 level. In 2019, the league is on pace to break that record, as it stood at 170 NCAA commitments as of February 1st, a higher number than at the same time as last year’s record-breaking season. Frankenfeld has been league’s Commissioner and President since 2007. During his tenure, which includes this unprecedented number of advancements to the NCAA, along with dozens of NHL Draft picks, Frankenfeld has set the foundation for continued success, expanding the footprint of the league to 24 teams representing 14 states, allowing the league to continue to grow and truly become America's only 'national league' when it comes to junior hockey. Thanks to that unparalleled exposure that NAHL players are receiving, the NAHL has taken another important step in its dedication towards the advancement of its players by announcing that the 2019 NAHL Top Prospects Tournament is headed to the East Coast for the first time in nine years. The annual event will take place at the New England Sports Village in Attleboro, Massachusetts, on February 18thand 19th. Another big reason for the NAHL’s success and rise to record-breaking commitment levels each season has been the unique Ladder of Development path the league has established in the past 10 years with the emergence and sustained success of the North American 3 Hockey League (NA3HL) and North American Prospects Hockey League (NAPHL). This season marks the ninth for the NA3HL, which is one of two USA Hockey-certified Tier III junior leagues. No other Tier III junior league has had more movement and advanced more players onto play in the NAHL than the NA3HL. 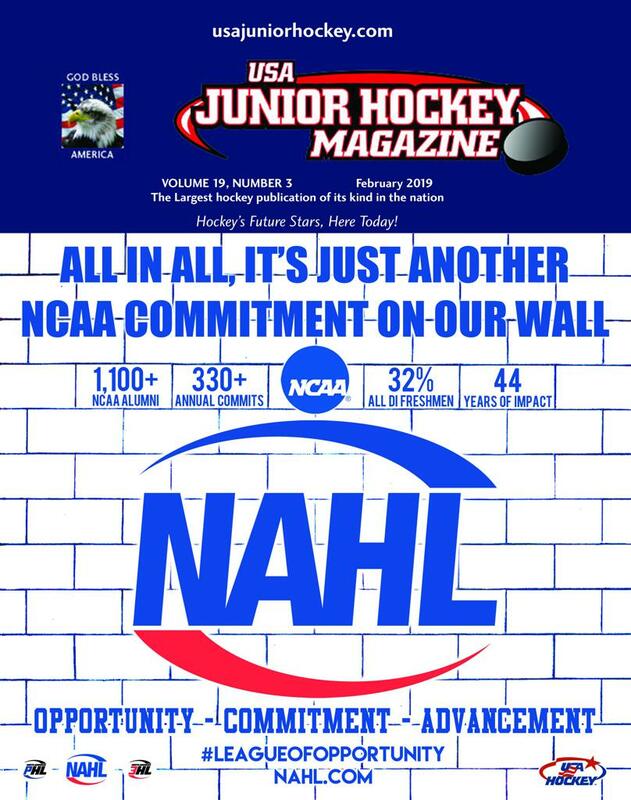 Through the NAHL's vast resources for development and exposure, the NA3HL provides a worthy path for players to grow, on and off the ice, while being showcased in front of the entire junior, college and professional scouting community. The NA3HL also will host its 2019 Top Prospects Tournament in cooperation and partnership with the NAHL event on February 18thand 19thin Attleboro, MA. Thanks to events like the Top Prospects Tournament, which not only be played in front of hundreds of college scouts, but also all 24 NAHL head coaches, the NA3HL continues to make their mark in advancement of players to the NAHL this season. To start the season 40 NA3HL alumni were listed on NAHL rosters. The NA3HL is also the only league that has an exclusive NAHL tendering system available only to NA3HL players. The recipe of success for the NAHL is simple and it starts with having the right ownership in the right markets. Thanks to 24 markets and communities than span from coast-to-coast and wall-to-wall, the stability and scope of the league has never been better. Owners are hiring the right coaches and allowing them go to work in building high character and talented players. Building on all that is the fact that the NAHL has taken great steps to enhance its social media and branding, staying on the cutting edge of technology for the 100% goal of more exposure for the players. It all makes the NAHL the premiere destination for players that want to earn an NCAA commitment. 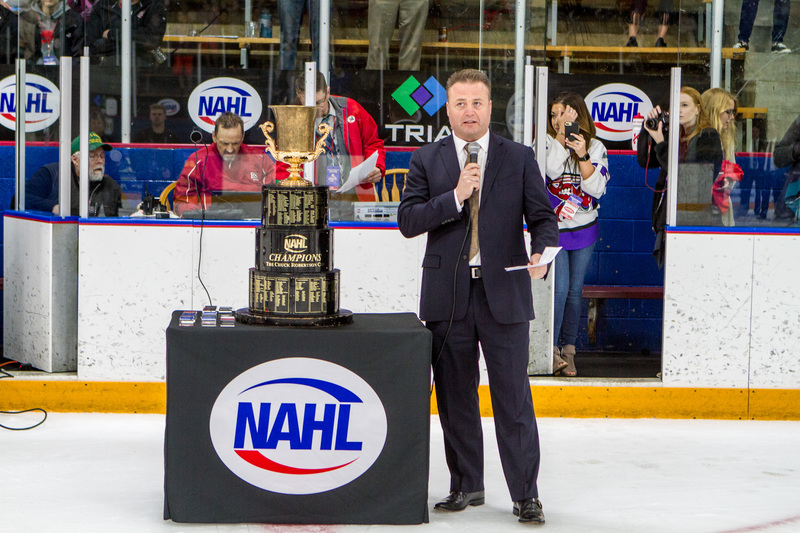 NAHL Commissioner and President Mark Frankenfeld has been at the helm since 2007, overseeing the unprecedented success and rise of the league into record-breaking NCAA commitments each season. 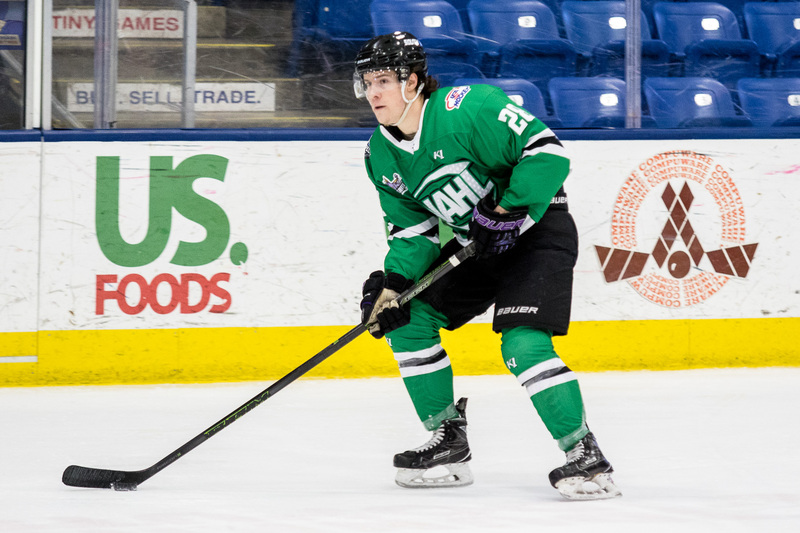 Kyle Hallbauer turned an appearance at last year’s NAHL Top Prospects Tournament into an NCAA Division I commitment to RPI just days after the event.